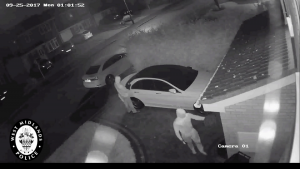 Resourceful criminal gangs are using digital kit to exploit a vulnerability in keyless entry and start systems. Using two devices they extend the signal from the car to the fob stored in the owner’s house. Known as the Relay Attack, this technique allows a criminal to gain access to a car and drive it off. This is a huge concern for drivers. And it’s the reason why Thatcham Research has launched a Security Rating for new cars. It means you can be informed before buying a new car and understand if it’s vulnerable to the Relay Attack and what you might be able to do to make your car more secure. We’ve rated 11 cars which have been launched so far in 2019, and will continue to assess cars for security and make the results public. What is the Relay Attack and what steps should I take to make life hard for thieves?